CubeSmart Marietta opened in July of 2016 and is located at 340 Franklin Gateway in Marietta, GA. The building is directly adjacent to I-75 and provides quick and convenient access for tenants in the area. 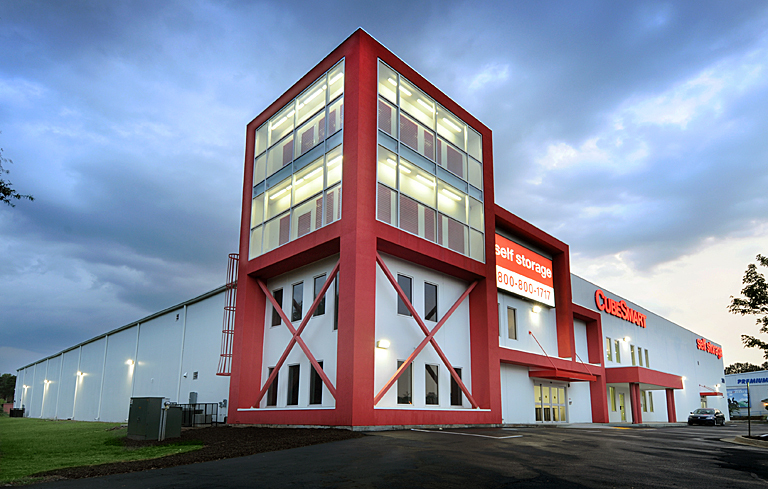 The facility has approximately 63,000 rentable square feet of Class A climate controlled self storage consisting of 660 climate-controlled units. Marietta, the Cumberland District and Cobb County have long been areas of sustained growth and more recently are beginning to experience a renaissance of construction, redevelopment and renewed investment. The facility includes unique design attributes carpeted hallways, flexible workstations for tenant use, music in the hallways and a 10-person conference room for rental by the hour or day. Over 90% of the carpet used in the facility was recycled preventing countless tons of material from going to a landfill.